Tangled and True: Pillow Pet GIVEAWAY!!! You've heard me discuss pillow pets before, I've come a long way from my original opinion of not needing any more stuffed animals in our home. Pillow Pets recently sent Finn the dolphin and he has fallen in love with it. He sleeps with it, loves it and says "soooooooft, soooo sooooft" in his best toddler gargle. The girls are always trying to sneak it out of his crib and use it for themselves, to say it is well loved would be an understatement. They are all hoping the "Easter Bunny"adds to their pillow pet collection. If you're hoping to surprise your favorite kids with a pillow pet for Easter now is the perfect time!! 8 different styles are currently on sale AND I have a 20% off promo code (for those 8 styles) for you at the end of the post.. meaning you can get a pillow pet for less than $15, that is a bargain that I say is definitely worth it! In addition to being soft and snuggly in real life, pillow pets has recently revamped their website to include new styles of pillow pets… check them out, they have some darling ones (orange butterfly and dragon anyone? ), games and the pillowpedia section letting you know the different places the characters come from, your kids are sure to get a kick out of the new site. Along with the 20% off promo code Pillow Pets is giving away your choice of one of the following pillow pets today (Ms. Lady Bug, Magical Unicorn, Comfy Panda, Playful Penguin, Buzzing Bumble Bee, Squeaky Dolphin, Silly Monkey, Snuggly Puppy)! I'm so excited and I hope you are too. To enter you just need to visit their new website (www.mypillowpets.com) and let me know what your new favorite feature or pillow pet is. For additional entries become a fan of their facebook page, follow them on twitter, or follow Tangled and True. Just be sure to let me know in the comments for each of your entries! Good Luck!!!! Love the new purple ladybug. My little 4 year old would adore one of those! Now I'm following T+T. Love your site!! I follow T + T! Wow, they've added a bunch of new ones on their site. I was surpried they didn't feature any of the mini ones because that's what my kids want now. If we won it would be a toss up between the unicorn and the panda depending on which of my kids was being nicer that day! I'm a T and T follower. My son would LOVE the fox...what a strange animal to obsess over, but whatevs! I'm a T&T follower, too!! The purple fluffy bunny is adorable! I'm a follower of T+T. 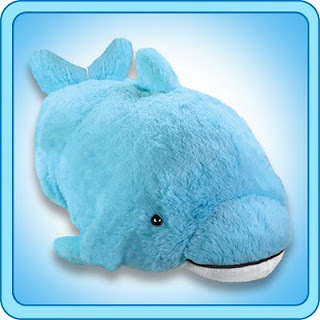 My daughters would be over the moon for the dolphin pillow pet. Too cute! I love the dinosaur! Cute, cute, cute! I'm a follower of T & T! The Orange Butterfly is so cute! My little girl would be in heaven with a dragon pillow pet for her "princess room"! I love the dolphin but I'm sure my gal would vote for the unicorn! I liked Pillow pets on Facebook. I follow Pillow Pets on Twitter. i think we would love the dolphin one around here! i have 3 boys who love all things ocean. The Purple Unicorn is adorbs!! my son would LOVE the dragon- he adores pillow pets!!! My kids love these! Love the dinosaur! 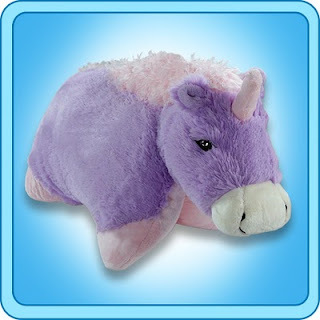 The purple unicorn would be so cute for my daughter! Love to get the snuggly puppy for my dog loving boys and I love the new green dinosaur. The new Fluffy Bunny is pretty cute! My daughter has been begging for the dolphin. This would be perfect!! I love the dinosaurs! The triceratops rocks! The orange butterfly is my favorite!! I love the luv kitty pet so darn cute!! I'm loving the bumbly bee! So cute! We are loving the new purple ladybug at our house! Ooh!! The bumble bee is adorable! Its hard to choose between thepurple lady bug and panda. my kids want one so bad. my almost-three-year old daughter's cousins all have pillow pets. my daughter doesn't a few nights ago after the final cousin received hers she woke up in the night crying. she said she needed water, so i took some to her. then as she fell back asleep and in half-consciousness she said "i want a pillow pet sooooo much." she's in love with the white bunny, but i didn't see that on the site. the new ladybug in girly colors is pretty fun, too. The love puppy is cute but my son is dying for the panda! the blue dinosaur is adorable! love their new styles. I with Finn, definitely the dolphin. I love the purple hippo one I saw today. My youngest son has the brown dog "Fluffy", my daughter has the purple unicorn "Stardust", and my middle son has the penguin "Fluffernut"-oh my gosh do they love them. The dragon! My girls would love to get this for their dad. I like the Koala! So cute. I am a follower of T&T. I like the Jolly Giraffe the best! The new pillow pet style that we like is Krissy Koala! We have the duck and love him! 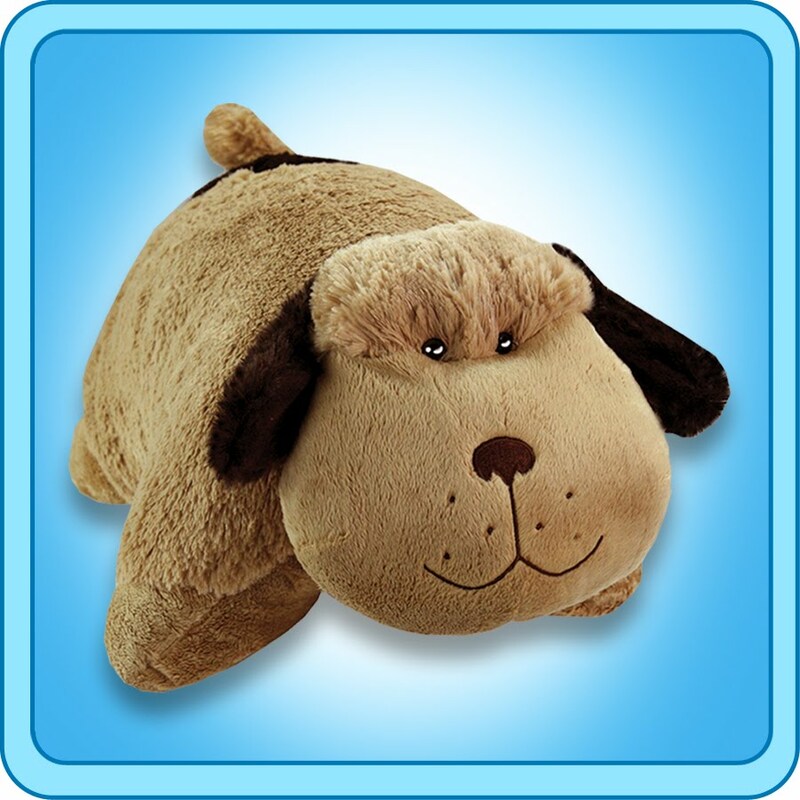 Love the dog pillow pet. We have the panda. It is so handy. Now all the kids want one. my daughter turns 3 on easter sunday and would LOVE a pillow pet. she says her favorites are the pink pig, pink bunny, or purple hippo. this would be perfect! We'll take the pink bunny rabbit please! I think that the dragon is so cute...my little boy would love it! I would love to see my girls running around in some of those slippers! 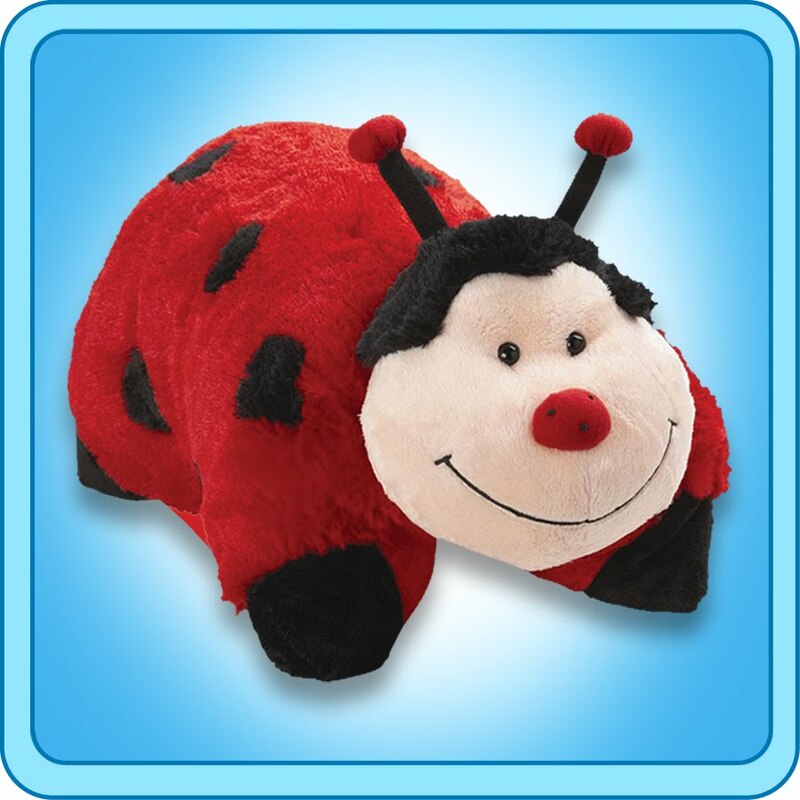 We'd take a ladybug Pillow Pet in a heartbeat! my kids would love more pillow pets! My girls love their pillow pets but they are recently interested in dinosaurs so I may have to pick one of those up. Cute. My kids are really into these now. The zebra is really cute. 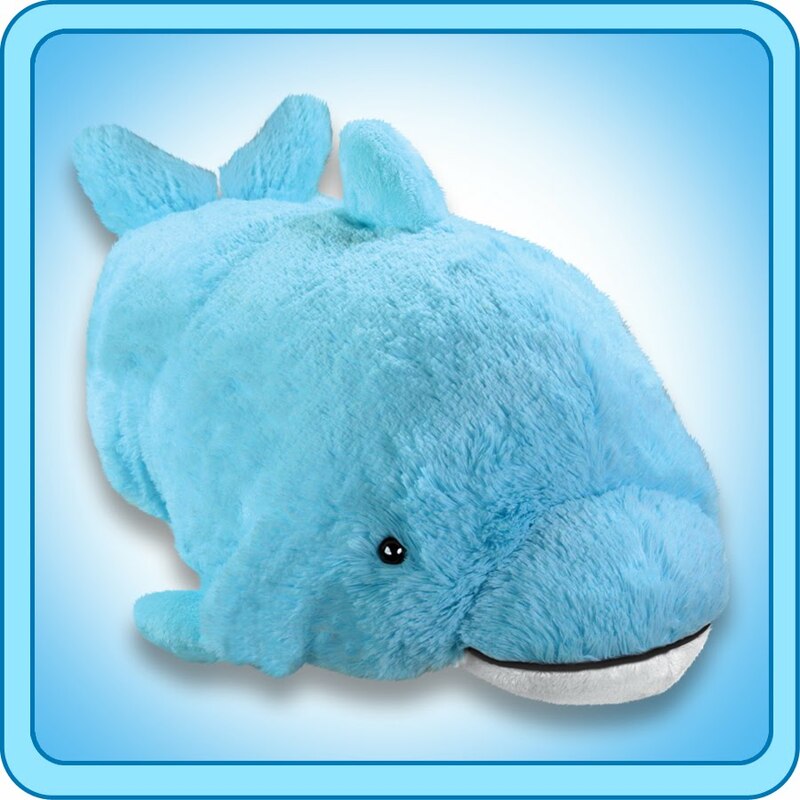 I love the dolphin and so would my big bubba! I would love to get a ladybug for my daughter. We bought her an off brand for her at Christmas and while she loves it, it already has holes and it completely done for. I would love to replace it with the real thing! I follow Tangled and True and I think the new Orange Butterfly is WAY cute!! My little girl would love it!! The new orange butterfly is super cute. I know my daughter would love these! Thanks! My silly monkey would love to win the silly monkey pet. Oh my daughter would love these. I'm thinking she'd like the playful penguin. My favorite would have to be one of the dinosaurs because my son would LOVE one. I am also now following your site. Thanks! I'm a follower of T& T now. We love the new Dragon! LOVE the playful penguin! my 2 yr old is crazy about penguins! perfect! My little guy can't go to Fred Meyer without admiring the pillow pets that are at every check out line. He is in love with them. The dinasaur would be the new favorite but the dragon and turtle are a close second. Ohhhh I love the New Purple Ladybug pillow pet!!!!!! My daughter's would love to have one!!!! never thought I'd get into the pillow pets, but my stella loves hers. charlotte is begging for one-- I like the koala. I am a T + T Follower!!!!!!!! Loving it too!!!!!!! My son loves the dolphin! He enjoyed playing a game on the site. Thank! I liked pillow pets on fb. Thanks! That purple unicorn pillow is awesome! Are they good for dogs? I have two little chihuahuas I need to find a good animal pillow for...?